Convert Video to Sony Ericsson Xperia X1. The Xperia X1 is a smartphone from Sony Ericsson and is the first in the manufacturer's Xperia series. The X1 was first presented at the 2008 Mobile World Congress. 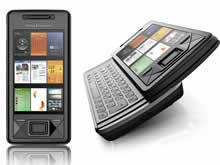 It is an arc-slider phone with the Windows Mobile 6.1 Operating System. Xperia X1 and other phones running Windows Mobile, like HTC TouchDiamond, O2 Atom, Samsung i900, support various video formats such as 3GP, MPEG-4, WMV. Wanna watch any video files on Sony Ericsson Xperia X1? Now, you have a good choice, Any Video Converter. With the best mobile phone converter, converting videos between diverse formats won't trouble you any more, because the converter can convert almost all videos to MP4, AVI, XviD, WMV, MPEG, MPG, FLV, ASF, MKV, 3GP, 3G2 with perfect output quality and high speed. Moreover, practical video editing functions are designed to assist your video file conversion. With Any Video Converter, it’s easy to convert any video files to WMV, ASF, 3GP, MP4, MP3, or AAC format to be played on Sony Ericsson Xperia X1. Please follow below steps to get playable videos for your phone. How to convert videos to MP4 format for Sony Ericsson Xperia X1? Step 2: Choose output profile "Mobile Phone MPEG-4 Movie (*.mp4)" in the profile drop-down list and set frame size option to 800 x 480 pixels. You need to manually input frame size value according to your mobile's screen resolution. The default settings is good enough. For better enjoying videos on Sony Ericsson Xperia X1, you can customize video and audio options, such as Video Codec, Video Bitrate, Audio Codec, Audio Bitrate, Audio Channel, Disable Audio, etc. Step 3: Click Convert button to start converting videos for Sony Ericsson Xperia X1. Once the conversion is finished, you can click "Output Folder" button to get the output MP4, WMV or 3GP files. Then connect your Sony Ericsson Xperia X1 with computer, import output videos into it, and have fun! Any Video Converter is versatile MKV video conversion software. 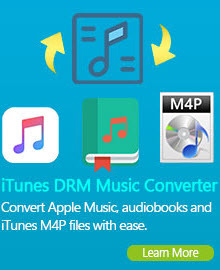 It can convert MKV to MP4 (xvid, mpeg4), MKV to WMV, MKV to 3GP, AVI formats, along with extracting audio from MKV to MP3, WAV, WMA, AAC or M4A music file! With high speed and wonderful output quality, the MKV video converter enables you to convert MKV to video and audio formats playable on Sony Ericsson Xperia X1, Xperia X2, Xperia X3, Xperia X5, Xperia X10, Xperia Pureness, etc. for enjoying MKV movies on the go! Any Video Converter is a splendid and powerful FLV to Sony Ericsson Converter which can make your life more colorful. With it, you can easily convert FLV files to 3GP with fast speed and excellent quality. It provides user-friendly interface and you can enjoy the FLV videos on your 3GP mobile phones. Only a few clicks can help you finish this conversion work!!! 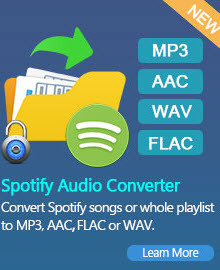 Just try this easy-to-use Converter at once!!! With this FLV to Sony Ericsson video converter, you can watch MP4 or 3GP movies converted from FLV movies on your Sony Ericsson mobiles including Sony Ericsson W series, Sony Ericsson K-series, Sony Ericsson T-series, Sony Ericsson W-series, Sony Ericsson X-series, Sony Ericsson Z-series, etc. Any Video Converter is integrated H263 and MPEG-4 codec which has super fast conversion speed with high quality plus advanced video editing features. It gives you everything you need to convert most popular files like AVI, MPEG, WMV, DivX, XviD, MP4, QuickTime (MOV) and stream formats for watch on Sony Ericsson Xperia X1. Supports all mainstream video formats like MPG, MPEG, MPEG2, SWF, FLV, VOB, MOD, MP4, H.264, M4V, AVI, WMV, 3GP, 3GPP, MOV, DV, MJPG, MJPEG, MPV, HD (ts, mts, m2ts). Converting QuickTime video to Sony Ericsson is not the only brilliant function of Any Video Converter. It owns the additional edit functions, such as video trim, video crop, video edit, video settings, and video merge, etc. Any Video Converter is DivX to Sony Ericsson video software to convert general video like MPG, MPEG, MPEG2, SWF, FLV, VOB, MOD, MP4, H.264, M4V, AVI, WMV, 3GP, 3GPP, MOV, DivX, XviD, QuickTime Video, DV, MJPG, MJPEG, MPV to Sony Ericsson video. More pleasantly, enjoy the HD video on the go. Plus, it gives you a way to navigate your music, since it owns the function to convert audio and take out audio from videos to MP3, M4A, WAV, etc. This DivX Mobile Video Converter allows you to create your ideal video. You can trim video clip, resize video, adjust video effect, add plug-in subtitle, customize output settings, and even capture pictures from the video. The bottom line: The Sony Ericsson Xperia X1 is a well-designed and fully stocked smartphone that offers great customization through the interactive panel interface. However, with its high price tag, the X1 will be a hard sell for most customers and will be a purely luxury item.